When the Easter Rising occurred on 24 April 1916, James Connolly was Commandant of the Dublin Brigade. As the Dublin Brigade had the most substantial role in the rising, he was de facto commander-in-chief. Connolly was not actually held in gaol, but in a room (now called the “Connolly Room”) at the State Apartments in Dublin Castle, which had been converted to a first-aid station for troops recovering from the war. Connolly had been so badly injured from the fighting (a doctor had already said he had no more than a day or two to live, but the execution order was still given) that he was unable to stand before the firing squad; he was carried to a prison courtyard on a stretcher. His absolution and last rites were administered by a Capuchin, Father Aloysius. Asked to pray for the soldiers about to shoot him, he said: “I will say a prayer for all men who do their duty according to their lights.” Instead of being marched to the same spot where the others had been executed, at the far end of the execution yard, he was tied to a chair and then shot. His body (along with those of the other rebels) was put in a mass grave without a coffin. The executions of the rebels deeply angered the majority of the Irish population, most of whom had shown no support during the rebellion. 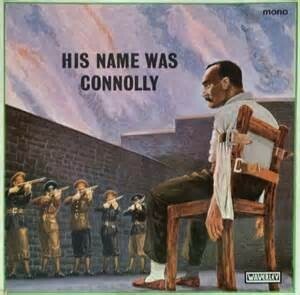 It was Connolly’s execution, however, that caused the most controversy. Historians have pointed to the manner of execution of Connolly and similar rebels, along with their actions, as being factors that caused public awareness of their desires and goals and gathered support for the movements that they had died fighting for.